What I'm Reading: Eleanor & Park by Rainbow Rowell | Oh Sarah O ! It has been awhile since I updated you on what I've been reading lately. In February the A Beautiful Mess (ABM) book club read and discussed Eleanor & Park by Rainbow Rowell (which will soon be made into a movie). The book was a fitting read for February because it is a story about young love- between a new girl in school with big red hair and a quiet, half-Korean boy. Once I started reading this story, I couldn't put it down until I finished. I really liked this book and all the memories it brought up of being young, nerdy and in love in high school. 1. Did you like the ending?! I totally agreed with Emma's (the ABM book club discussion leader) feelings about the end of this book and felt conflicted about the ending of this book. For those of you who haven't read the book, in the end Park drives Eleanor cross-country to Minnesota so she can escape an abusive step-father and live with her uncle, even though it means Eleanor will also be away from Park. After that, it seems that Eleanor and Park loose touch from one another and Park tries to continue on without her. But after some time passes, Park receives a postcard from Eleanor containing 3 words, but the reader isn't told what it says. It's easy to want to assume that the three words in Eleanor's postcard are "I love you" or "I miss you," because throughout the book the reader is cheering on Eleanor and Park to overcome all obstacles and be together even though they are young and now living hundreds of miles away from one another. I think the story would have been more true to life if no postcard was sent and the pair just carried on with fond memories, but perhaps the author wanted to leave the reader with a snippet of hope that these two would meet again. Growing up my family was more similar to Park's in that we almost always ate dinner together and my parents were supportive and accepting of my friends and I. I did have friends that had more difficult family situations, but not to the same extent as Eleanor had with her family. I like to think that my home was kind of a refuge for some of my friends when we were growing up. 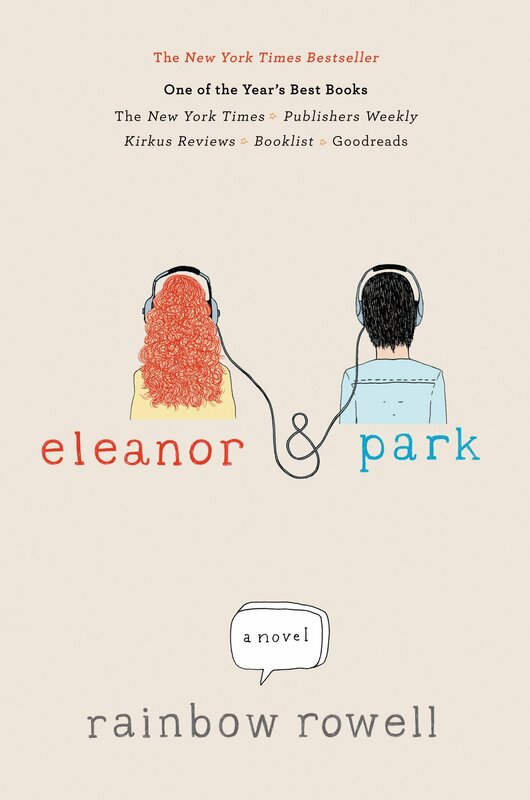 Throughout the book we watch Eleanor and Park transition from being complete strangers who are tossed together by circumstances (needing a place to sit on the bus and sharing a few classes) even though they are actively trying to avoid other people and each other, to fast friends, and then fall in love. At various points throughout the book the pair ask one other to describe why one love the other, and both have difficulty defining an answer because there is no clear and logical reason for the two to have come together, but they have. The way the author depicts their relationships seems very true to life and makes this book such a fun read! I recommend this book to anyone who wants to learn about young love or reminisce. I really enjoyed the book and brought up parts of it in various conversations for a long time immediately after reading it. I did really like the ending. Maybe it was just a personal connection, but I got the idea that Eleanor probably shared the same feelings that Park was conveying in his letters but didn't want to rehash them all the time by responding. Or knew that nothing would come of it. A simple note saying "I love you" (or whatever it was) was her acknowledging she felt the same. I totally forgot about the movie.